NEW YORK CITY—Featuring apartments along with retail and office space, the property’s ownership once included the legendary Harry Helmsley. The Madison Realty Capital partnership will be the property’s fourth owner since 1928. 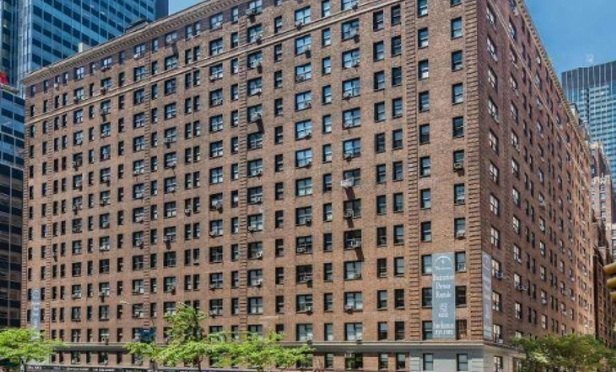 NEW YORK CITY—Madison Realty Capital has closed on its acquisition of the Buchanan, a mixed-use multifamily property at 160 E. 48th St. in Midtown. The firm purchased the 16-story, 300,000 square-foot mixed use property in partnership with USAA Real Estate Co. for $270 million. The sellers of the building were two families—the Tausiks and the Kaydens—who were partners with legendary investor Harry Helmsley when he purchased the property in 1952 for $1 million, according to the Wall Street Journal. The families reportedly bought out Helmsley in the mid-1990s. MRC’s partnership will be the tower’s fourth owner since it was built in 1928 but the first owner of its kind in 64 years. The building is comprised of five interconnected mid-rise towers which surround a garden courtyard and contains 289 apartments and approximately 16,000 square feet of retail and office space. It also features nearly 140,000 square feet of air rights. The partnership plans to initiate a comprehensive capital improvement program geared to renovate and reconfiguring existing residential units, enhance operating efficiencies and create a high-end amenity package. The residential unit mix includes studio, one-bedroom, two-bedroom and three-bedroom apartments, with penthouse units offering private outdoor terraces. The retail space and office space, which spans mainly along 200 feet of frontage on Third Avenue and roughly 145 feet of frontage along 47th and 48th Streets, is currently 100% occupied. “We believe that the Buchanan provides a tremendous value proposition backed by sound fundamentals with sustainable growth,” notes Josh Zegen, co-founder and managing principal of MRC. This was a rare chance to acquire a full block asset exhibiting predominantly core characteristics while providing significant value-add potential. We are very familiar with this neighborhood and look forward to executing our business plan. Adds Len O’Donnell, president and CEO of USAA Real Estate Co., “We are extremely pleased to be expanding our relationship with Madison Realty Capital. They have proven to be an outstanding partner and we are looking forward to the successful execution of this transaction. Tom Bermingham and our New York team are creating a truly exceptional portfolio of assets, as we continue to increase our presence in the market.